For Adults who have never taken ballet, those who haven’t taken ballet recently, or those who want to review the fundamentals. Rebecca Witjas, Kasha Kropinski, and Ilona Pociunas teach this beginning class which explains the correct way to do every exercise at the Barre. You will explore turnout, pull-up, core stability, and find your own range of motion limits with consistent stretching. Discover how to move from your center to the edges of your body, and improve your balance through body symmetry. 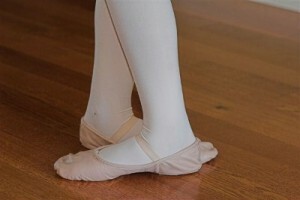 Learn many ballet basic steps and their correct execution. For those of you who have attended several Ballet Basics classes and feel confident, we hope to see you in our Intro to Ballet, Intro/Beginning Ballet, and Beginning Ballet classes. Read faculty bios for Rebecca Witjas, Kasha Kropinski, and Ilona Pociunas.